Sometimes, you don’t need anything “fancy” you just need a headset that gives you a bump in quality from the crappy ones that tend to get bundled with phones these days. 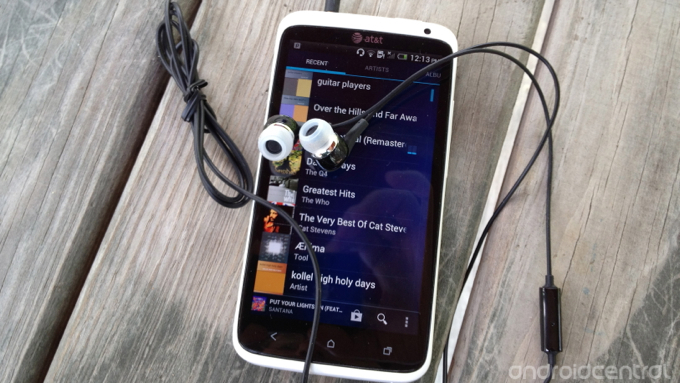 Your New HTC One X or Evo 4G or Galaxy S III is capable of producing very nice music – you should have a “decent” set of headphones to bring that out. See if the Samsung EHS60 fits the bill. 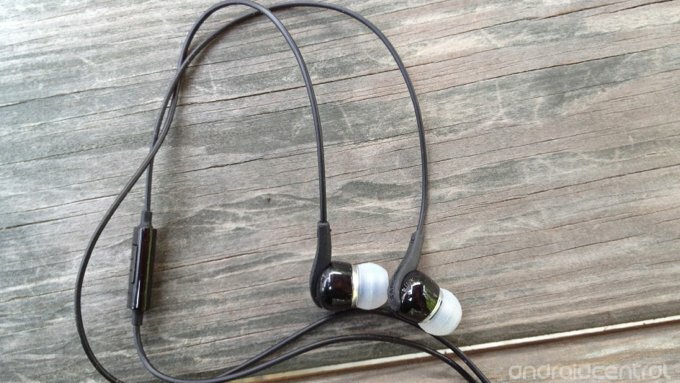 The Samsung EHS60 sits at the bottom of the line of available Samsung headphones. Even the bottom of their line is usually an upgrade of what you already have. Also, think about how you use your headset. If you use it for exercise or commuting or working around the yard, there is a good chance you might damage a very expensive pair of headphones. Like most headsets these days, the Samsung EHS60 comes with a built in microphone for taking calls and pausing and playing music. The Samsung EHS60 is pretty sparse in terms of what you get. It comes with the headset, two extra sets of ear gels (small and large – medium is already on the headset) and that’s about it. No case, no cleaning tool – nothing extra. The Samsung EHS60 is a pretty basic design. 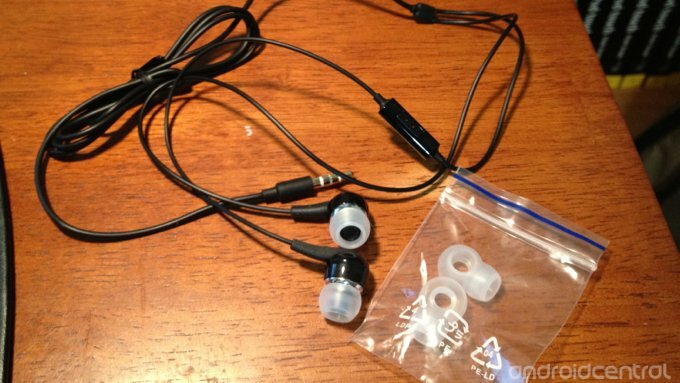 The ear buds themselves are rounded black plastic with rubber at the ends that is attached to the wire. The wires are very thin – almost so thin that I would worry that if I got these caught, I might break them. Attached to the right ear bud wire is the in-line microphone. On one side sits the mike opening and on the other side is one button. The jack is a very basic 3.5 mm jack that fits pretty much every Android phone. The Samsung EHS60 functions both as a headset for taking and receiving calls, and as a stereo headphone for listening to music. The microphone (as stated above) is on the right hand cable – fairly close to your mouth. Unfortunately, functionality of the Answer/call button was inconsistent – to say the least. On the EVO 4G LTE, push the button to pause or play music. Double click it to redial the last number and push and hold to activate voice dialing. On the HTC One X, push once to pause or play, double click to go back to the start of the song and sometimes push and hold for voice dialing. On the Galaxy Nexus, push once to pause or play, push twice to go back to the beginning of the song and voice dialing doesn’t work. On the iPhone (just for comparison sake) push once to pause or play, push twice to advance to the next song in a playlist and hold to activate voice dialing. If a call comes in, just push to answer – that was consistent. The Samsung EHS60 were a little on the large side to be comfortable for me – but that is a very subjective thing. There are three sets of ear gels, so it is possible to get a better fit depending on the size of your ear canals. These are in-ear headphones, so they do need to sit in your ear canal and form a good “seal” in order to give you the best sound quality. The microphone for the Samsung EHS60 is, as mentioned earlier, on the right hand cable. It does not appear that there is any sophisticated noise cancelation built into these headphones – and for the price – that makes sense. Callers felt that I sounded like I was in a cave or at the beach – even if I was in the house with no wind around me at all. I could still hear people fine and they could make out what I said, but not with the same clarity as a more expensive Bluetooth headset. I was surprised that the music quality was really pretty good with these headphones. Now, this is not the stellar dynamic range and sound separation you will hear on a higher end pair of Klipsch headphones – but it certainly beats the pants off most bundled ear buds. Bass was definitely muddy with the Samsung EHS60’s – there was not the clear press on the bass drum or the little puff of air that accompanies a good subwoofer’s bass reproduction. Again, in a low-end headset I wouldn’t expect anything different. Midrange frequencies were pretty good and the high end lacked the crisp detail of a more expensive headset – but symbols and high strings were nice. I tried lots of different music when listening to the EHS60’s. For general Pop or Rock music, these did just fine. These won’t be the headphones I will pull out to listen to all the instrumentation in a YES song, but to listen to Zeppelin or the Stones while on a bike ride – these are fine. The Samsung EHS60 is a worthy replacement to whatever came with your Android phone. The inconsistency with the Call/Answer button is a little frustrating, but you will learn once what it can do with your particular phone and remember it from there. For a “knock around” set of headphones that allow you to take calls – these might work out well for you. The Samsung EHS60 is a decent upgrade to most stock headphones. If you only occasionally take calls when on your headset and don’t need to be able to consistently activate voice dialing from the headset, these are a good, economical pair of headphones.